Once upon a time, I saw this very pretty cover on Twitter, so I looked up the book and added it on Goodreads, eagerly anticipating its release. In the meantime, I wanted to learn more about the book and get you to know about the book, so I asked the author if she'd be up for an interview. And so today, I am pleased to welcome K.E. 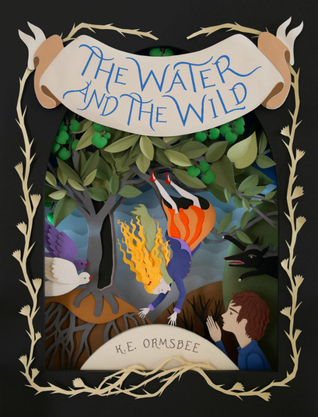 Ormsbee to the blog to talk about her debut novel The Water and the Wild! Rachel: Hi, K.E.! Your debut novel The Water and the Wild releases this year, which is super cool. But first, can we PLEASE talk about THAT COVER?! K.E. : Oh, YES. We can talk about that cover all day. The artwork is by the incomparably talented multimedia artist Elsa Mora (@ElsitaTweets/artisaway.com). When my editor first sent me Elsa's name, I of course conducted an exhaustive Google Image search. If you're a fan of the cover, I suggest you do the same, because Elsa's many other papercuts are stunning. After gawking for hours on end, I was giddy with the knowledge that my cover was in excellent hands. I got to catch glimpses of the process as it chugged along, and when I received the final proof I spent a long time just patting the image on my phone screen. Elsa and the Chronicle design team worked magic. I think they perfectly captured both the whimsy and danger of Lottie Fiske's journey. And good news for cover-lovers: there's more artwork inside! Beautiful floral papercuts head each chapter. Rachel: It really is a gorgeous cover. And yesss to more artwork inside the book. And okay, now we can talk about what the book is about. There's an apple tree, yes? A magical apple tree? K.E. : There is indeed a magical apple tree! The story is about a girl named Lottie Fiske, whose best friend Eliot is dying of a mysterious illness. Lottie travels through the magical apple tree's roots and into a different world in an attempt to find a cure for Eliot. On her journey, she's joined by a poetry-spouting boy with untouchable hands, a girl who can hear for miles in every direction, and a royal heir who can taste emotions. A bunch of WILD things happen. They're chased by a sinister wolf-like creature, they walk atop the biggest spiderweb in the history of spiderwebs, and they're nearly chopped to bits by scruffy dudes living in the woods. All the while, they follow the WATER of a winding river to their final destination. (SEE WHAT I DID THERE?) At this point, I'm sure you've caught on to the fact that I'm a terrible summarizer. When in a pinch, I just describe the story as Alice in Wonderland meets The Wizard of Oz. Rachel: Oh, I love it. I can't wait to read this! And since you mentioned Alice in Wonderland and Wizard of Oz, were they big inspirations for you, or did the idea for The Water and the Wild come from somewhere else? K.E. : So, I'm a very visual person, and I often get random, vivid images stuck in my head. This means I can't watch slasher movies or too much true crime TV. But it also means occasional bursts of artistic inspiration. The Water and the Wild began as one of those stubborn images lodged in my brain. In this case, it was a white finch perched in a green apple tree. I thought there was a bunch of potential in that image, so I wrote down a description. That was my very first inspiration for The Water and the Wild. Another huge inspiration was, yes, my favorite childhood stories! Growing up, I adored The Chronicles of Narnia, Sideways Stories from Wayside School, The Wind in the Willows, Alice in Wonderland, and every single book by Roald Dahl. When I wrote The Water and the Wild, I wanted to create a story that Little Me would've loved (okay, and that Big Me would love, too), so I incorporated all the things that made my kid heart go pitter-patter: magic, talking animals, a sense of the absurd, and a strange new world. So while I didn't intentionally sit down to write an Alice/Wizard mash-up, those stories, as well as many others, definitely influenced the style, genre, and story elements I chose. Rachel: So if The Water and The Wild were a film--with this fantasmical world you've painted for us--what would it look like? K.E. : Ooh, that's tough! As you might guess from the book's title, the world Lottie discovers is very much defined by its topography. Trees, rivers, hills, and vines all play an important part in sometimes aiding, sometimes impeding Lottie's journey. So if The Water and the Wild were a film, I'd expect there to be a wealth of nature onscreen, painted in verdant greens, deep blues, and chilling whites, depending on just where Lottie and her companions are traveling. I'm sure Elsa's cover has had an effect on the way I see Lottie's world, too, because I often picture it as a tangible and three-dimensional illustration, similar to how claymation looks onscreen. Rachel: I thought something like claymation would look cool, or even something papery and artsy like the cover (listen up, movie people!). Now, your characters obviously live in a fictional world. But what would they be like, and what would they do, if they were in the real world right now? K.E. : Hmmm! I'll leave Lottie and her best friend Eliot out of this, since they're technically present day earthlings. I bet Mr. Wilfer, the renowned healer who thinks he can save Eliot, would run an integrative medicine practice. His daughter Adelaide has exceptional hearing, so depending on the crowd she decided to hang with, she might either be an excellent musician or run a gossip blog at school. Maybe both. Her brother Oliver would be the quiet kid who gets picked on but wins a national award for a school essay he wrote. I can see Silvia Dulcet, the Seamstress of the Wisps, running an alterations shop. And her son Fife would most likely be spending his days in detention and his nights driving around on a motorcycle. K.E. : Fife Dulcet. He was the first character I ever created for The Water and the Wild, so he's got a special place in my heart. He can float, which means we'd get places faster. He's technically royalty, which means I could play the "I'm with the illegitimate prince" card wherever we go. Lastly, he's got a great sense of humor and would totally be down for carrying out some wild shenanigans and practical jokes. Rachel: What would happen if you were in your book? Rachel: Oh, oh, tell us about this Southerly King, please! K.E. : The Southerly King rules (yes, you guessed it!) the southern half of Lottie's magical island. Rumor has it he's on the lookout for the same medicine Lottie needs to cure Eliot. And when Lottie is pursued by Grissom, one of the Southerly King's henchman, it seems only a matter of time before her path will cross with the king's. I won't spoil the read by giving anything else away, but I can say that developing the Southerly King was one of the most frustrating and rewarding writing experiences I've ever had. Rachel: Using the letters of WATER, what are some fun facts about yourself you'd like to share with readers, and using the letters of WILD, what are some you'd like to share about your debut novel? K.E. : Wry -- My favorite humor is dry, dark humor. Arts -- I love the performing arts. Plunk me down before live theatre, ballet, or a film/music festival, and I am in heaven. Telekinetic -- Sadly, I'm not. But it's one of my favorite super powers. Engrossed -- I do have freaky powers of concentration. Redheaded -- Fourth generation ginger. It's a very Weasley situation. Wilfer -- The surname of an important family of characters, and a nod to my favorite Dickens novel, Our Mutual Friend. Irises -- They're in the story. They're also my favorite flower. Lissome -- The river Lottie and her companions follow for much of their journey. Dorian -- Another name found in the book and yet another nod--this to one of my favorite writers, Oscar Wilde. Rachel: And last but not least, it's release day! You go to a store and see your book on the shelves for the first time. What do you do? K.E. : Possibly faint. Then take a picture. Or 100. Kathryn (K.E.) 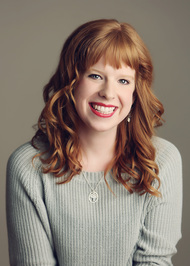 Ormsbee writes Middle Grade and Young Adult books. Her debut novel, The Water and the Wild, is a Middle Grade fantasy and will be published by Chronicle Books on April 14, 2015, with a sequel to follow in Fall 2016. 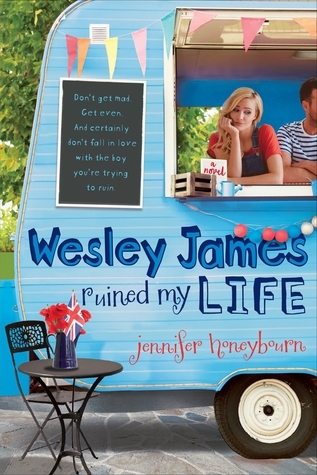 Her YA debut, Lucky Few, will be published by Simon & Schuster in 2016. In her wild, early years, Kathryn taught English as a Foreign Language, interned with a film society, and did a lot of irresponsible road tripping. Her crowning achievement is that the back of her head was in an iPhone commercial, and people actually paid her money for it. Nowadays, she teaches piano lessons, plays in a band you've never heard of, and run races she never wins. She likes clothes from the 60s, music from the 70s, and movies from the 80s. She still satiates her wanderlust whenever she can. You can win your own copy of The Water and the Wild, courtesy of the wonderful people over at Chronicle Books! And spoiler alert, I'm reading it right now and though I'm not very far in, the writing is fantastic and the story has a very magical feel to it, and you want this book, you really do (plus, if you win you can PET THE COVER). All you have to do is fill out the Rafflecopter and follow the giveaway rules. This book sounds wonderful, and the cover is amazing! I would pet it lovingly.